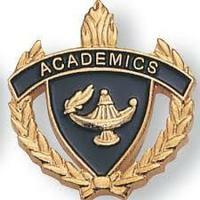 Parents: Please be advised that the upcoming Student-Led Conferences are Next Thursday evening from 3:30 pm - 7:30 pm. There will be NO EARLY DISMISSAL on that day. Have a wonderful weekend. The Holiday Band Concerts are scheduled to be held in the Junior High Gym Thursday, December 13th. 6th grade begins at 6:30 pm, followed by the PJHS Band and then PHS Band. Mrs. Nova will be hosting a book fair beginning Monday, October 15-18. 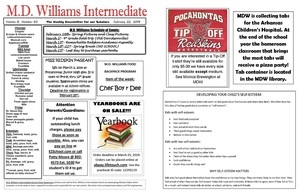 Parent Night will be on Thursday evening, 18th. 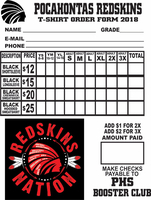 The PHS Booster Club is taking orders on "Redskins Nation" apparel. Money must be turned in with order to Monica Brewington by September 21st. 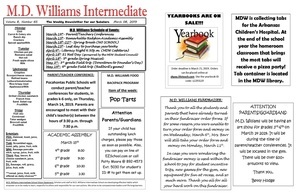 Forms will be sent home on Tuesday, September 4th.A form is also attached for your convenience. 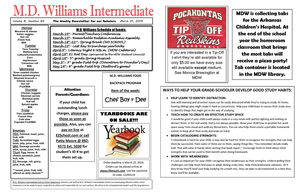 Above is details regarding the upcoming school year and plans for GT. Monica Brewington has a few Tip-off T shirts still available and will be selling them for $5. If you would like one contact her at MDW. Thanks! Parents of Students in grades 3-6th:There will be a Master Survivor Summer Camp beginning Monday, June 18th - Friday, June 22nd. 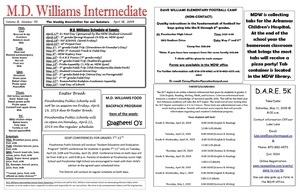 For additional information and for a registration form log on under MDW Documents. 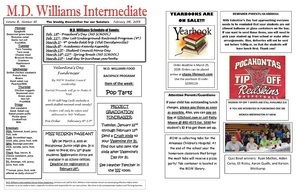 Cookie Dough Fundraiser selling date is February 6th - 21st. If a student sells 25 or more items, you will receive your choice of a Drone or Kindle. Students who sell 15 or more items, they will receive VIP seating at the upcoming Magic Show. All MDW student-body will attend the show.Fundraising money is due on Wednesday, February 21st. MD Williams honored our local Veterans on Friday, November 10th, during our yearly Veteran’s Day Program & reception hosted by the Student Council. We would like to thank our veterans for their service and contribution to our freedom! 5th Grade Dare Picnic has been delayed until about 9:30 am due to the potential weather. The picnic will be rescheduled if lightening is in the area after 10:00 Am. 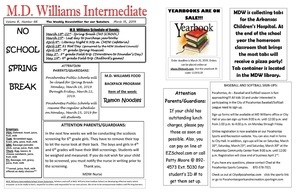 Please contact the school if you have any questions or concerns. 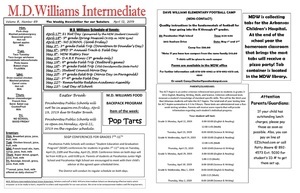 MD Williams 5th and 6th grades will be hosting the first annual History Fair: When: Thursday, May 18th.Set-up: 7:30-8:00 am Where: MDW GymViewing: 8:00 - 12:50Judging: 12:50 - 2:00Scoring: 2:00 - 2:30Awards: 2:30 - 3:00Everyone is welcome and encouraged to attend and support the students. 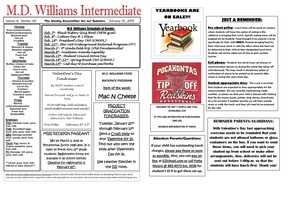 Student Council Presents "Movie Day"
MD Williams will not be in session on Monday, 20th, in observation of President's Day. Classes will resume on Tuesday, 2/21/17. Thank you and have a safe weekend! Attention Parents & Students: There are to be no breakable items, oversized items or balloons on the school buses. Please keep this in mind when sending Valentine's Day items to your student. Your student's safety is our first priority.... Tracy Ingram, Transportation Director. 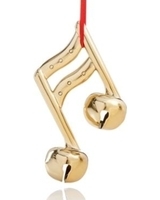 Monday, December 12th: Band Christmas Concert in the MDW Gym beginning at 6:30 pm. Students will need to be here at 6 pm. Thursday, December 15th: Student Holiday Incentive Movie Day in Paragould. Student Only Activity!Friday, December 16th: Student Council Movie Day in the MDW Gym. 2016 HOMECOMING SHIRTST-SHIRT$10 Youth Small-Adult XL $12 2XL & 3XLBASEBALL STYLE SHIRT (White w/Black sleeves)$15 Youth Small-Adult XL $17 2XL & 3XL FRONT BACKAll orders are due Friday, October 7th at 12:00pm. These may be purchased from Mr. Phelps at PHS or Coach Brooks at PJHS. 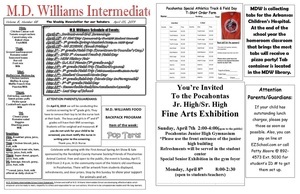 3rd Grade Teachers and Students would like to extend their appreciation to each of the grandparents attending today's program in the cafeteria. MD had approximately 250 honorees in attendance. Mrs. Monica Brewington is selling the Kick-off shirts for $10. She has the shirts in her classroom ranging from least to greatest in size: Youth Large and 3XXX.NWEA TESTING will begin on Sept. 12th thru Sept. 19th.LifeTouch will be here to take school pictures on October 12th. Re-takes will be on October 26th. 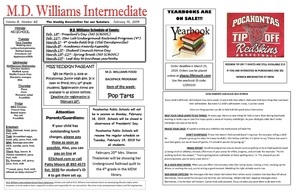 Hand-out reminders will be given at a later date. January 11th - Tutoring Resumes January 18th 2016 NO SCHOOL, in observance of Martin Luther King Day.January 19th, 2016 Randolph County Spelling Bee hosted by M.D. 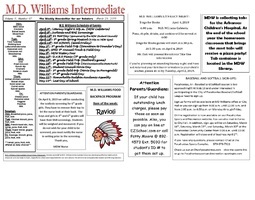 Williams in the Gym beginning at 6 pm.January 22, 2016 ABBIT ProgramJanuary 27th, 2016 Elementary Chess Tournament at the Northeast Arkansas Educational Coop in Walnut Ridge. Please remember to set your clocks back 1 hour on Sunday in observance of Daylight Savings Times.